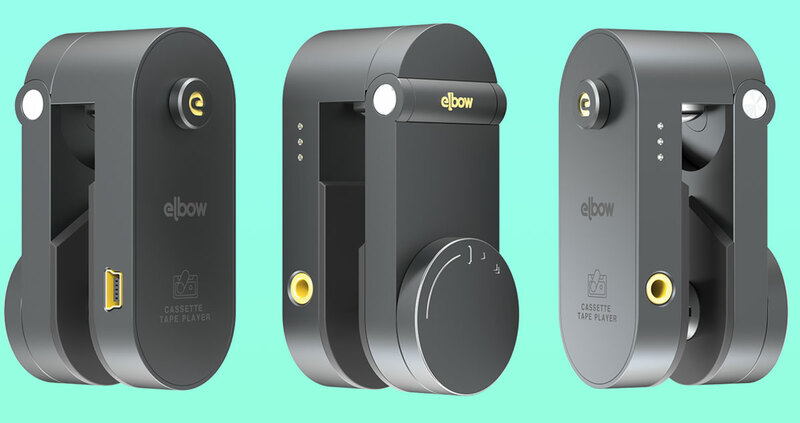 Elbow recently completed a market test survey on their low-tech, ultra-portable concept that will revolutionize the way you play...uh...mix tapes. A clip-on arm with a pulley system, the Elbow cassette tape player spools through your old music reels to pump out old physical recordings of "Thriller" and "Total Eclipse of the Heart" that sound way better play way louder make way more sense give nostalgia seekers and people who just like to buy crap a reason to keep their crates of cassette even though they now have all the same songs in digital format. Now. 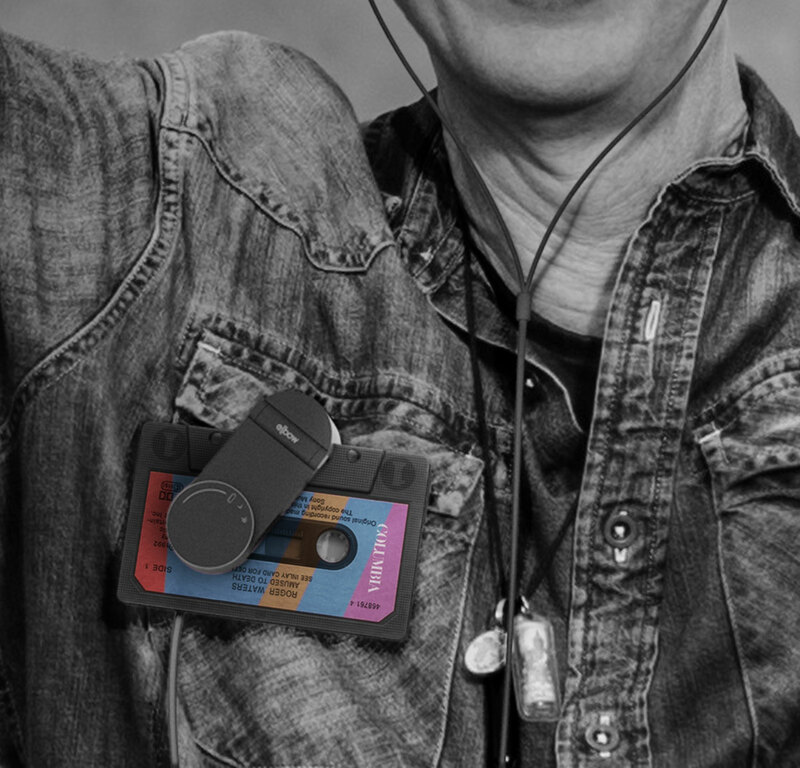 Were cassette tapes still part of contemporary culture--and, hey, maybe Elbow can resurge their pop culture relevance again for a time like mustaches and tight-rolled jeans (oh they're coming, you mark my words)--the Elbow cassette tape player would win the Niftiest Way to Play a Cassette Tape award. 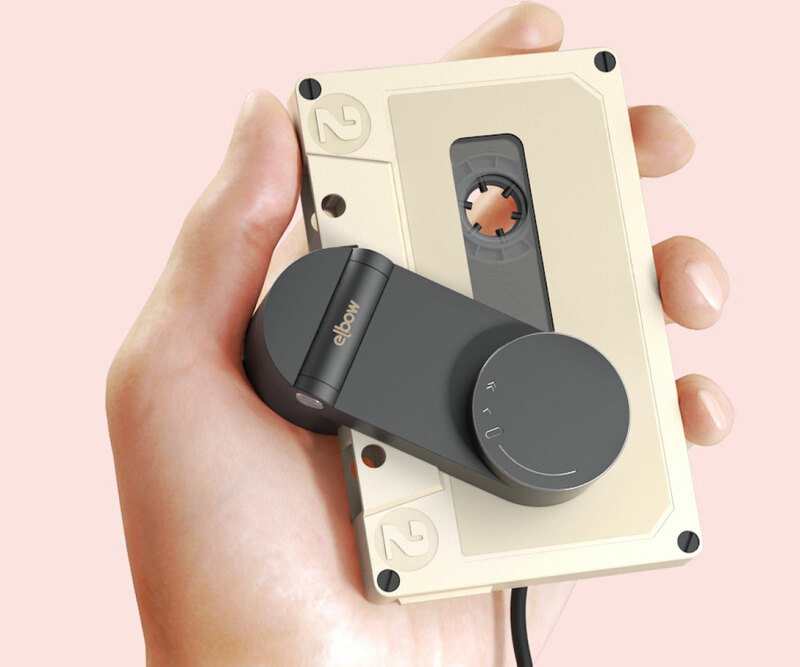 It's got a cool minimalist look, it's easy to carry, and it's easy to pop onto a tape. It also seems kinda fun to play with its center control wheel. Turn it left to start the jams, turn it more to the left to turn them up, and turn it to the right to fast forward--at your own manually-dictated pace. You know, the more you turn, the faster Milli Vanilli sing. Elbow has a 3.5mm audio jack for headphone connection, and a pin that pushes into the back lid for clipping it to your clothes or bag. 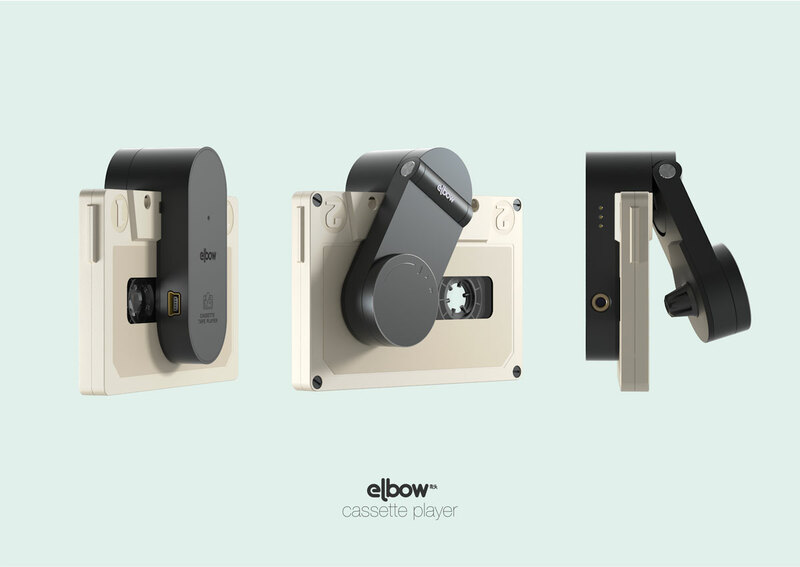 You could also use the Elbow to transfer your cassette tape masterpieces to your computer via its mini-USB port.